NEW GUIDE: #PiHole Ad Detection Display with #RaspberryPi and an @adafruit #PiTFT « Adafruit Industries – Makers, hackers, artists, designers and engineers! We already have a guide on using Pi-Hole with the Raspberry Pi Zero W to send advertisements on your network into a black hole. But, the PiOLED is small and we want to monitor more statistics at a glance. While we could open the web console to monitor Pi-hole, we can’t show that to friends easily. Plus, who doesn’t want more shiny, blinky, networking hardware? 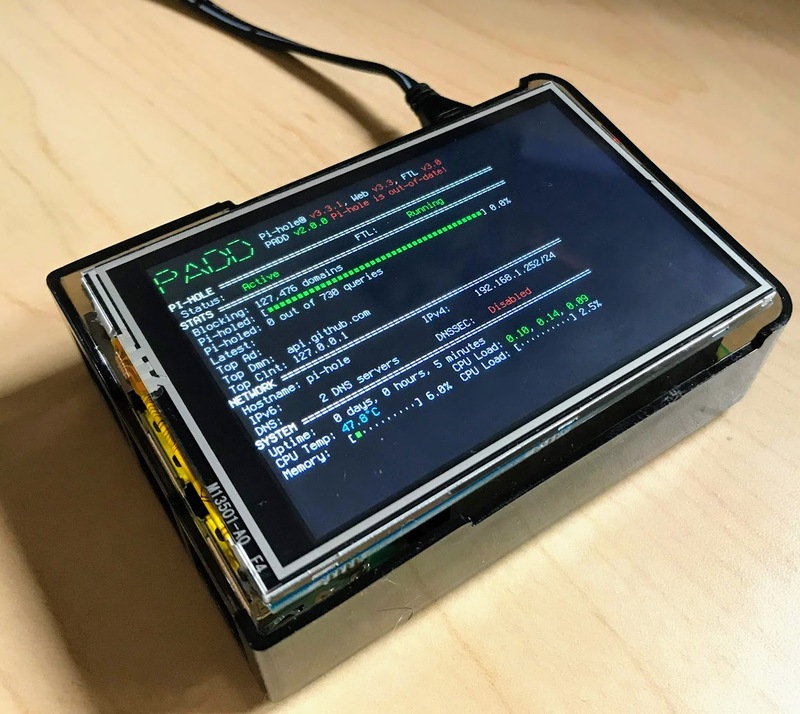 We’re going to install PADD (Pi-hole Ad Detection Display) and Pi-Hole on the Adafruit 3.5″ PiTFT Plus to display useful and fun statistics such as Amount of Pi-holed Advertisements, and the top offending domain attempting to serve pesky advertisements to your network.